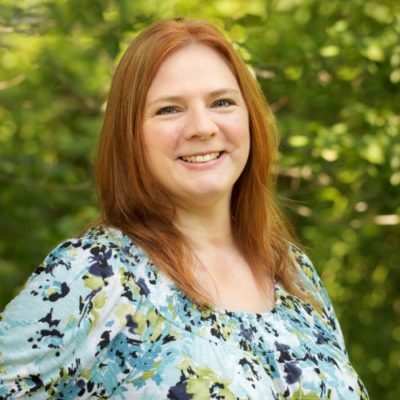 I got some great gift sets free from Beauty Bridge to facilitate this review. Christmas will be here before you know it! I want to share some holiday gift ideas for everyone on your list. Beauty Bridge is your one stop shop for great beauty brands and products. They’ve got make-up, skin care, stuff for men, bath and body products and more. Philosophy Pure Grace Holiday Set is gorgeous! If you’ve got a mom, daughter, friend, wife to buy for, I know she’d love this! I do! It is an $88 value, but you can get it for only $57 and shipping is free in the USA. Celebrate the most important woman in your life with the fresh, clean scent of pure grace. This skin-loving set is so luxurious. If you don’t buy it for a gift, buy it for yourself! The collection includes Pure Grace Shampoo, Bath & Shower Gel (8 oz. ), Pure Grace Eau de Toilette Spray Fragrance (2 oz. ), and Pure Grace Body Lotion (8 oz.). 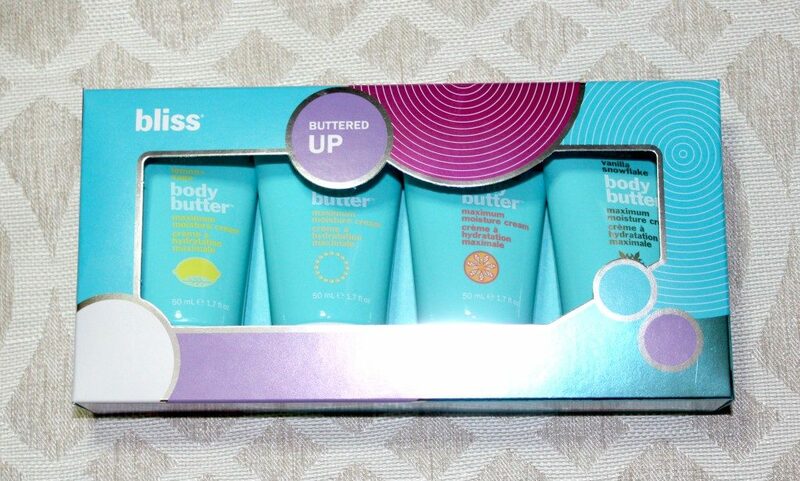 I got two Bliss gift sets and love them both. The Buttered Up Collection contains 4 body butters that are divine! You can really feel the difference in your skin’s appearance after using body butter. My favorite scent is the Lemon + Sage because it smells so fresh and light. The Vanilla Snowflake is perfect for the holiday season since it smells like cookies baking! You’ll love this collection and at only $20, it makes a great gift set. The other Bliss Collection I received is Oh, Glow On. I am in love with the Bliss Fabulous Drench n` Quench Cream-to-Water Lock-In Moisturizer that is in this collection. It makes my face feel so smooth and young! The set also includes Fabulous Foaming Face Wash which is a 2 in 1 cleanser. It exfoliates while cleansing your face at the same time! Anything that saves me time is good with me! The final product in the collection is the Fabulous Makeup Melt Gel-to-Oil Cleanser. This one is great for removing your makeup! This one costs $22 and would be another great gift for someone on your list this year. You can really tell that this is high quality makeup. It doesn’t wear off during the day, and it doesn’t smear all over. The little ribbon under the brush makes it easy to get the brush out! It’s the little things that let you know a lot of thought goes into making this. This palette costs $36 and is worth every penny. You don’t need an extra eyeliner since you can use whichever color you want as eyeliner and you’re getting 12 colors. The packaging is well made too, so you don’t need to worry about your eyeshadows crumbling. The guys on your list would love this eShave Holiday Gift Set. My son loves using a shaving brush rather than shaving cream out of a can. I think it is really becoming popular for guys to shave this way again. He whips up his own shaving cream and uses a straight razor. The eShave set comes in your choice of four fragrances: almond, lavender, cucumber or white tea. If you’ve got a guy who travels a lot for work, the Lab Series Everywhere Essentials Travel Set would be great for him. This collection includes Multi-Action Face Wash 1 oz., Cooling Comfort Shave Cream 1 oz., Age-Rescue Face Lotion 1 oz., Pro LS Lip Balm 0.15 oz. 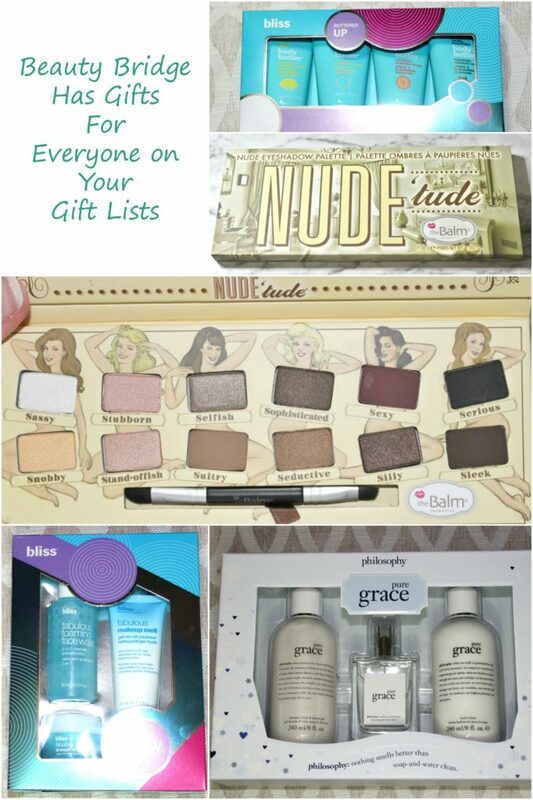 Finally, you need to check out the gift guide that Beauty Bridge has put together on their site. I know you’ll find something for everyone on your lists.